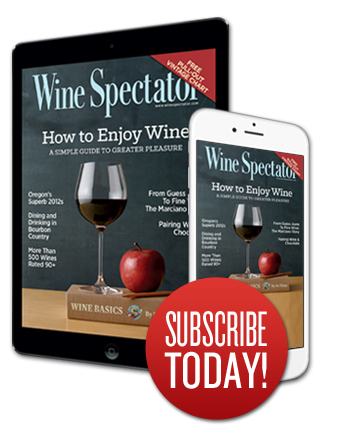 Read Wine Spectator magazine when you're on the go! You'll get 1-year of instant access on your tablet or mobile device. Wine Spectator rates over 15,000 wines per year, in every price range, to fit every occasion. Read about the world's great wineries and winemakers and visit restaurants with outstanding wine lists. Plus, each issue features delicious recipes and pairs them with the perfect wines.